LIVE MAY 20TH, 2017!! 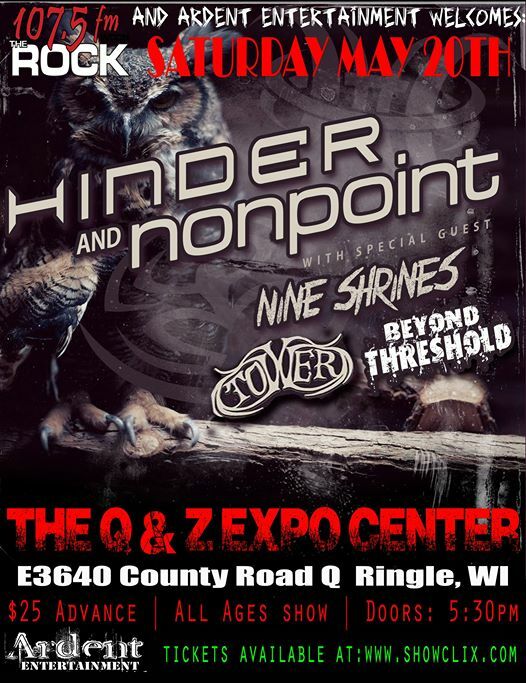 107.5FM and Ardent Entertainment Welcomes: HINDER & NONPOINT Wsg: Nine Shrines, Tower, Beyond Threshold at The Q&Z Expo Center in Ringle, WI! !